For those of you that have not yet seen the connection between parked cars blocking effective weekly street sweeping and the effects of this county wide run off problem read below. If I lived in a beach city in So. Calif I would be very mad at cities that did not have an effective weekly street sweeping program. Lakewood claims to be getting their act together in Fall 07 by weeping the northern quarter of the city. Well see. What is most funny is that all the glossy costly car window fliers we are paying for (to alert parking violators of the news laws) will likely end up in the gutter and in the ocean as well! Lakewood residents for the most part seem to be interested in two things: the right to shoot of fireworks whenever and where ever they want and the right to park 12 vehicles near their home whenever and wherever they want. Pollution is not important. Find one trait and the other is likely to be there as well. Hey its not my beach or my ocean. 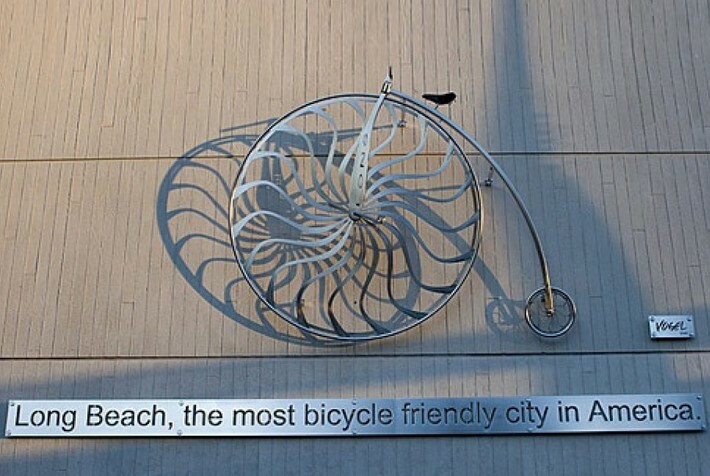 That's Long Beach's problem! Heal the Bay today issued a health advisory to Southland residents and visitors to avoid water contact at Los Angeles County beaches for 72 hours, following the area's first significant rainfall after a record drought period. The county's 5,000-mile storm drain system is designed to channel rainwater to the ocean to prevent local flooding. But it also has the unintended function of moving pollution directly into the Santa Monica and San Pedro bays. 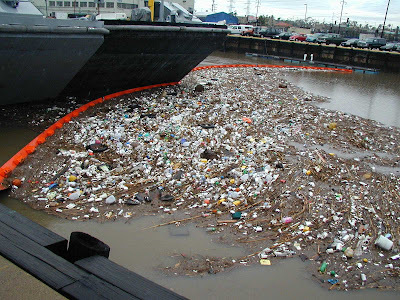 After heavy rains, more than 70 major outfalls spew manmade debris, animal waste, pesticides, automotive fluids and human-gastrointestinal viruses into the marine ecosystem. This pollution poses human health risks, kills marine life and dampens the tourist economy. The so-called first flush is especially worrisome this year, which is the driest in 130 years. Debris and toxins have been accumulating for months on sidewalks, roadways and riverbeds and are now being washed into the storm drains. Exposure to this runoff can cause a variety of illnesses, most frequently stomach flu. During dry months, Heal the Bay and county health officials urge swimmers to stay 100 yards from flowing storm drains, which have been shown to have elevated levels of known carcinogens and pathogens. Experts agree after a major rainfall that local beachgoers should stay out of the water entirely for at least 72 hours. "The first heavy rain of the season is a real eye opener about the extent of marine-bound debris in our storm drains," said Karin Hall, executive director of Heal the Bay. "That's why we're working so hard to address the root causes of this kind of pollution." County storm drains typically handle 100 million gallons of contaminated water and debris each day, but one rainstorm in Los Angeles County can generate nearly 10 billion gallons of water. Sewage treatment plants, which process storm-drain runoff from major pipes in dry months, simply can't handle the excess load during major storms. Local residents contribute to debris buildup by dropping nearly 1 million cigarette butts on the ground each month, according to L.A. County Department of Public Works estimates. Citizens walk a dog without picking up the droppings more than 82,000 times per month, and they hose off driveways and sidewalks into storm drains more than 415,000 times each month. Heal the Bay is a non-profit environmental group dedicated to making California coastal waters, including the Santa Monica Bay, safe and healthy for people and marine life. On Sept. 15, the organization last week mobilized 11,000 volunteers who removed 80,000 pounds of ocean-bound debris from county waterways as part of California Coastal Cleanup Day.